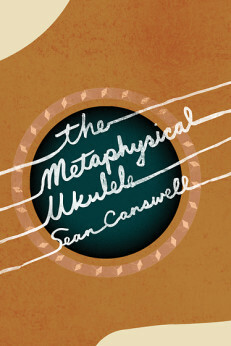 The Metaphysical Ukulele is my third short story collection and my sixth book overall. I wrote my first short story for it, “Big Books and Little Guitars,” in the summer of 2009. It was published in Fjords Review in 2013. I worked on the stories on and off from 2009-2014. Five of the stories were published in literary journals. Two of the stories appeared in anthologies. Ig Publishing accepted the book for publication in the spring of 2015. It was on May 10, 2016. You can order the book from Amazon, Barnes & Noble, or Ig Publishing. Mixing the flair of literary invention with real events in the lives of some of our most well-known writers—Herman Melville living with a tribe of cannibals; Raymond Chandler holding The Blue Dahlia screenplay hostage from Paramount Studios; Flannery O’Connor falling in love; Chester Himes threatening to decapitate his landlord, a ukulele player who may or may not be Thomas Pynchon, among others—Sean Carswell takes the nonfiction of the literary life and turns it into exquisite fiction, with a ukulele thrown in to each story for good measure. At times heartbreaking, at times absurd, the stories in this truly one-of-a-kind collection delightfully blur the line between what is life, and what is literature.